To complete this guide you will need to have an Apple developer account, run Xcode on your machine, and have iOS Push Notifications configured. You will also need to create a push credential on the Twilio Console, and then configure it on your Notify service. You can upload your push credentials here. If you haven't set up the Apple Push Notification Service (APNS) for your app, you can do so by following the iOS push notification guide. The first function is Register Binding - available at the /register-binding path. The quickstart mobile app sends an identity and the device token that it gets from the Apple Push Notification service to this function to create a binding. Notify uses these bindings to map the device that someone is using to their identity when you send a notification. Now that you have the Twilio Functions created, it's time to set up the iOS app! To be able to receive Push Notifications, we need to run the Twilio Notify sample iOS app on a device, as Push Notifications do not work on the iOS Simulator. 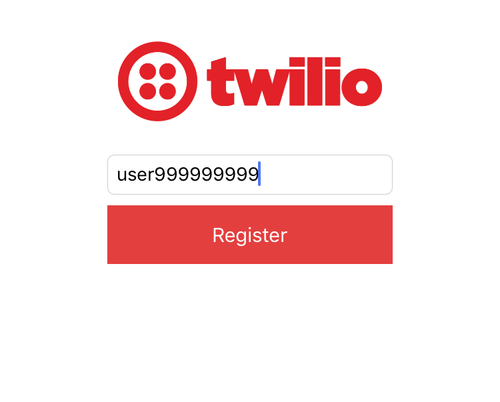 To have the mobile app, running on your device, talking to your Twilio Functions, replace the server URL at the top of the ViewController file with your Twilio Functions subdomain URL. Next we need to create a Binding between user Identity and the device running the app. User Identity can be any unique identifier you choose, like a GUID, or a primary key. User identity should not be personally identifiable information (PII), such as a name or an email address. 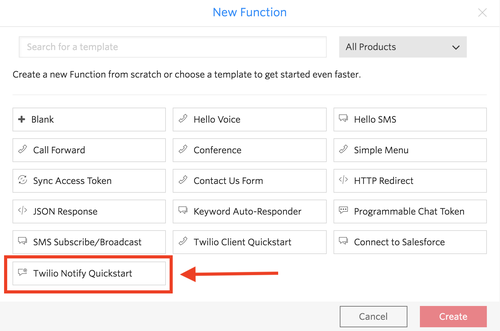 In the Twilio Console, navigate to the Twilio Notify Quickstart (Register Bindings) Function that you just created, and leave that web page open while you register with the app. That way, you can see logging information from your function. If the binding request wasn't successful, you'll see an error message printed in the Twilio Function logs instead. If there was a problem with the iOS app connecting to the Twilio Function, the error message may be printed out to Xcode's console by the iOS app. Notify uses Identity as a unique identifier of a user. You should not use directly identifying information (aka personally identifiable information or PII) like a person's name, home address, email or phone number as Identity because the systems that will process this attribute assume it is not directly identifying information.